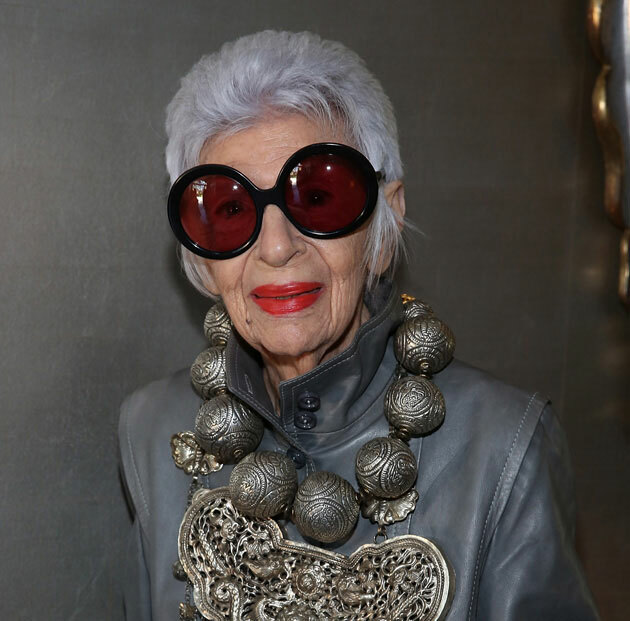 Iris Apfel is a creature of an endangered species — the fashion eccentric. Here, six tips to up your style game as inspired by an icon. Considering the democratic and populist nature of the world of fashion today, with the unfettered access to a multitude of style choices, most players still adopt a herd mentality. Few dare to break from the pack and conjure up an original dress code. But the New York native has been standing out in the crowd for decades, dressed in an blaze of colour, an explosion of prints and accessorizing with multi-layers of chunky necklaces and stacks of giant bangles. For good measure, the cherry on top of her style concoction — which has become her trademark — a pair of seriously oversized, round and thick-rimmed glasses. 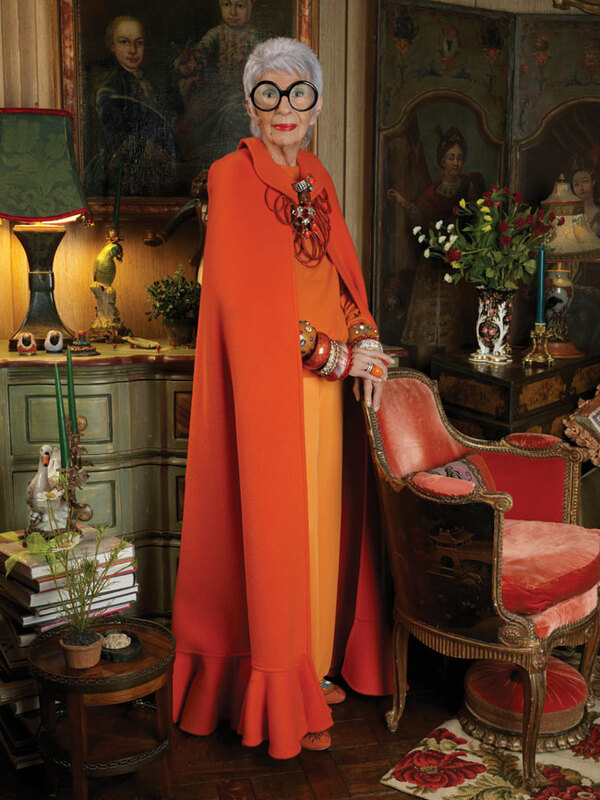 And now at age 96, the self-described geriatric starlet has chronicled it all in her book, Iris Apfel: Accidental Icon. Very much like her multi-layered fashion sense, the book is lavishly colour-drenched with illustrations, photos and her musings and essays on life so far and matters of style. A mix of advice, mementos, inspirational lists and fashion lessons, it’s delivered with her biting wit and astute candour. 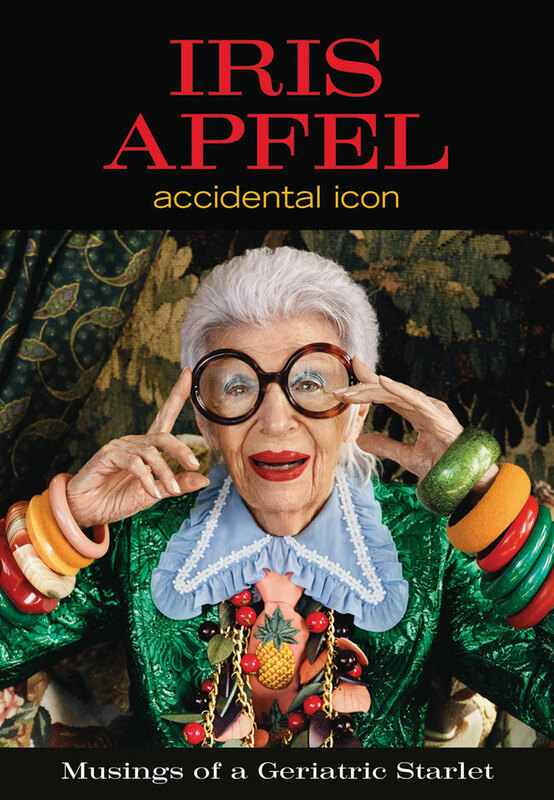 While Apfel always had a colourful outlook on life, her status as a fashion icon came about late in life — as the title of her book would suggest. The limelight only found her a decade or so ago, while she was in her late 80s. So how did this come about? She and her late husband owned a textile company that specialized in replicating antique fabrics, and among her prestigious clients was the White House during several administrations. Her irreverent style caught the eye of New York’s inner fashion circle and, in 2005, she became the first living person who was not a fashion designer to have an exhibition dedicated to her at the Costume Institute at The Metropolitan Museum of Art. The popular exhibition launched a twilight career as a model and muse for various brands from cars to makeup to hotels. Her face now graces magazine covers, books capture her style and she got the documentary treatment with the release of the 2015 Albert Maysles film, Iris. If Apfel’s route to stardom was an accident, it hasn’t slowed her down as she zips through life with zest. 1. Bold eyewear. Your glasses sit front and centre of your face and should be worthy. 2. A red lip. It’s a small thing but it packs a punch. 3. One for the neck. You don’t necessarily have to drape garlands of necklaces à la Iris. You can just wear one – just make sure it’s big, bold and graphic. 4. But two or more for the arms. A single bracelet? Why bother? Stack them up to your elbow. On both arms. 5. No budget. No problem. Do as Iris does and check out flea markets, vintage stores and the stores in ethnic neighbourhoods for some fabulously cheap and cheerful finds. A version of this article appeared in the April 2018 issue with the headline, “In Living Colour,” p. 20.